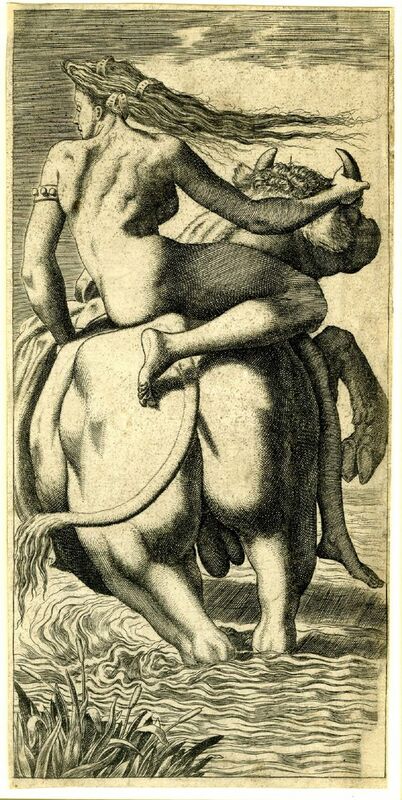 Zeus, in the form of a bull, carries off Europa. Gender-shifting shapeshifters are those mythological and fantasy creatures that embody the repressed gender traits coming into reality. They are not a new phenomenon but have been around at least since the earliest recorded historical times. 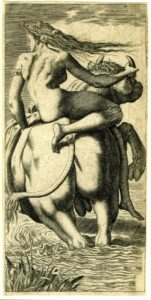 In Greek mythology, Tiresias is instantly changed into a woman when he finds two copulating snakes in the forest and pokes them with a stick. Tiresias lives as a woman for many years until she once again finds two snakes in copulation, prods them with the stick, and is transformed back into a man. 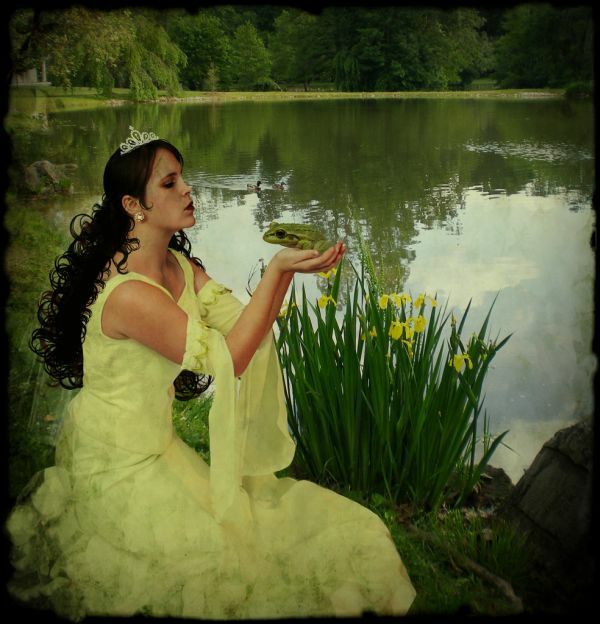 Similar tales of gender-shifting can be found in Celtic and Norse legends, as well as in legends from other parts of the world. I am pleased to post this guest blog from my friend and paranormal investigator, Michael Varhola. 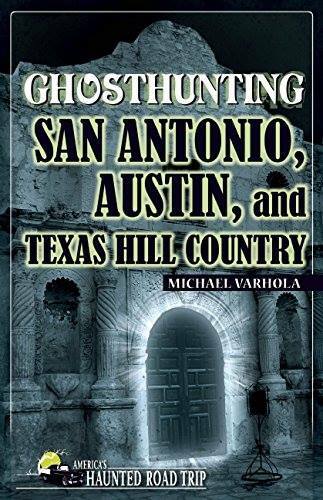 This article is from his new book, Ghosthunting San Antonio, Austin, and Texas Hill Country (Clerisy Press, 2015). Thanks, Mike! Although one of San Antonio’s smaller municipal parks, 96-acre Comanche Lookout Park on Comanche Hill has the sense of being a microcosm and frequently seems more isolated than it really is despite being surrounded by major roads, shopping plazas, and housing developments. Those who visit it during normal business hours are likely to get an accentuated sense of this and, other than a few headphone-wearing people who jog by wraithlike and without acknowledgement, are likely to have the place pretty much to themselves. That, of course, can be the best way to explore and appreciate this profoundly historical site, to investigate the legends associated with it, and to possibly come into contact with some of the many ghosts who have long been believed to haunt it. And, as strange and haunting as it might feel on its face to the casual visitor or ghosthunter, an investigation of its history will reveal some genuinely strange things about it. Like many places in Texas where people lived at the time of initial European contact, what became known as the Comanche Lookout was at least sporadically inhabited since prehistoric times, by Paleo-Indians from no later than about 9500 B.C. onward. In the 1700s and 1800s, Apache and then Comanche Indians hunted along nearby waterways that included seasonal Cibolo Creek and used the hill both as a meeting place and a lookout from which they could scan the landscape for game. When Spanish colonists began traveling from Nacogdoches in east Texas for purposes of settling along the banks of the San Antonio River, the Comanches were able to spot them as well from the crest of the hill. This allowed the Indians to muster warbands in the hours before travelers arrived and to ambush them as they passed by the base of the hill along what was then known as the Camino Real — the “Royal Road” — and what is now known as Nacogdoches Road, a route that followed traditional Indian trails. The hill thus became a prominent landmark that told travelers not just that they were nearing their destination but possibly also that they might soon be exposed to mortal danger as they completed the last leg of their journey, between Bastrop and San Antonio. Significant bloodshed thus occurred in the vicinity of the hill (and continued to one extent or another into the 1870s). The land surrounding and including Comanche Hill was part of 1,476-acre land grant that was surveyed for owner James Conn in April 1847, and over the following seventeen months the property was subsequently transferred to a number of other owners, including Peter W. Gray, a lawyer, legislator, and officer in the Texas Army; Alexander Patrick; and Ludovic Colquhoun, a surveyor and state senator. Frequent sale of land grants was not uncommon during the period of the Republic of Texas, so this is not overly exceptional in and of itself. This was also, however, the era of the bloody Indian Wars, and it bears asking whether either physical threat or the lingering spiritual energies of a site that had been used since time immemorial might not have played a role in these very short periods of ownership. In February 1923, retired U.S. Army Colonel Edward H. Coppock came into ownership of the property. He was a 44-year veteran of the service who had fought in the wars against the Apache and Sioux, the Spanish-American War, the Philippine Insurrection, and World War I. He was also a history aficionado and romantic who had spent time on Europe and who had decided that he was going to build a full-sized, U-shaped castle on the slopes and flat crown of Comanche Hill. With help from his two sons, Edward Jr. and E.S.,	and a Mexican laborer named Tarquino Cavazos about which little else is known, he began to lay the foundations for and construct what was clearly intended to be a sprawling complex. Coppock’s tower at Comanche Lookout. By 1928, they had completed the four-story, Norman-style stone tower that can be seen on the hill today and which was modeled after “a similar structure erected by William the Conqueror at the site of the Battle of Hastings in the 11th century,” according to a 1948 newspaper article. In addition to this, over the twenty-five years that Coppock developed the property they also built a stone lodge, several outbuildings, a 2,500-gallon water tower, a Spanish-style corral, picnic tables, a barbecue pit, a tennis court, and some smaller homes that have since been destroyed by fire. Both Coppock and Cavazos died in 1948, however, and, when they did, the colonel’s sons abandoned the project and in 1968 sold the land to a developer. 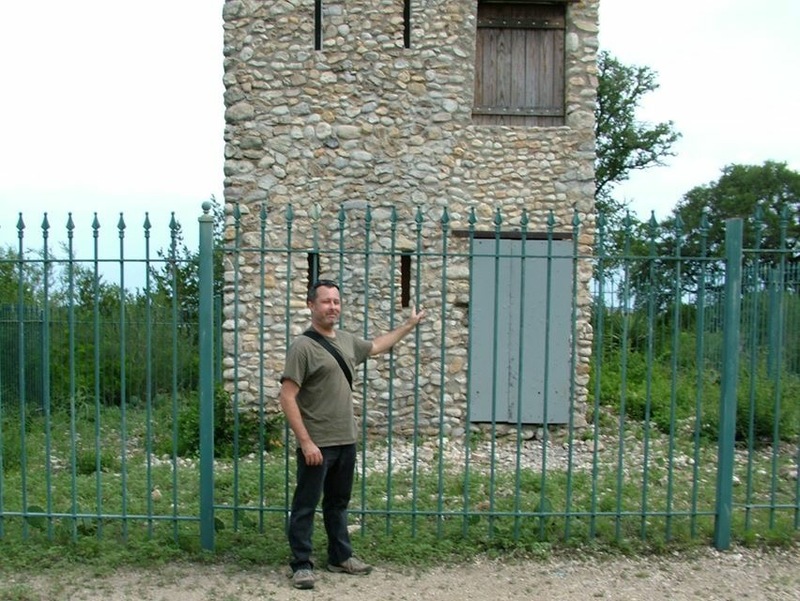 Initially, the new owner began to move ahead with plans to develop the land and started by removing all of the structures on the property except for the tower and some of the foundations. For whatever reasons, however, they did not move ahead with any new construction and nothing was ever again built on or right around the hill. The property continued to change hands over the following years until, in the 1980s, the owner became insolvent and had to liquidate its assets, which led to acquisition of the property by the U.S. government’s Resolution Trust Corporation in 1990. Around this time a private group called Save Comanche Lookout led an effort to preserve the site that resulted in the Trust for Public Lands providing an interim loan to the city of San Antonio to purchase the site for a park. A 1994 bond issue provided the funds to repay this loan and develop the site. 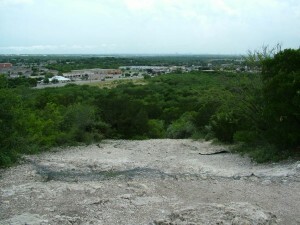 During this time, the Center for Archaeological Research at the University of Texas at San Antonio released “An Archaeological Investigation of Comanche Lookout Park.” Suffice it to say that this report reveals some interesting things about the history and prehistory of the hill and the area surrounding it, including the presence of an ancient chert quarry, toolmaking area, and campsite. What it does not say, however, is perhaps even more interesting, but we may never know what that is, and it is here that we encounter one of those rare glimpses of officialdom coming into contact with things so strange that they cannot credibly deny or reveal their existence. Three pages of this report have, in fact — pages 2, 18, and 19 — been redacted because they contain what is described as “restricted information.” This sensitive information is being withheld not by a government agency but rather by a public research university, and is not about a site in some hellhole like North Korea but rather one right in the middle of an urban area in the United States. Whatever those pages they contain, whatever the investigators discovered at Comanche Lookout hill were, in short, deemed to be things of a nature that had to be withheld from the public at large. Over the years visitors claim to have seen ghosts of many sorts in the area, in both the park itself and along adjacent Nacogdoches Road, including those of Indians, soldiers, and settlers. People have also reported seeing the specter of an old man pushing a rock-filled wheelbarrow and this spectre has been identified as old Colonel Coppock himself, trying in death to complete what he was so passionate about in life. 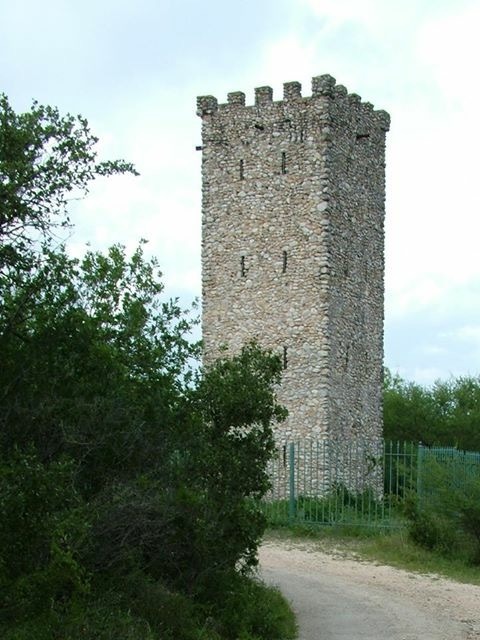 His unquiet spirit is quite possibly also indignant about the people who have vandalized his tower, thrown rowdy parties in and around it, and even held rituals at it for purposes of calling up the shades of the dead. There are also vague and largely unsubstantiated rumors of gold having been buried on the hill and of Mormon settlers being massacred near it. 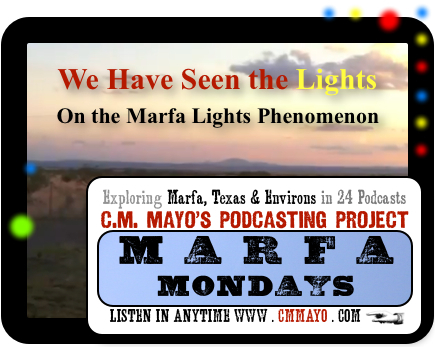 One of the more dramatic episodes that has reportedly occurred at Comanche Lookout Park is described by Lauren M. and James A. Swartz in their book Haunted History of Old San Antonio. A woman they interviewed took a walk with her dog up to the top of the hill each day and, in the course of it, often heard chanting or voices in the forest around her, but dismissed them as kids messing around. The last time she dared to go into the park, however, she had descended about halfway back down when it grew unnaturally dark and she spotted two strange-looking men with painted faces following her. When they screamed and charged her, she and her dog turned and fled, running as fast as they could back to the parking lot at the bottom of hill. 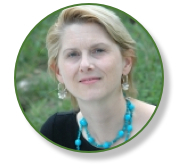 She turned to face her attackers but, as quickly as they had appeared they were gone. She left as well and vowed to never again return to the park, believing that she had encountered the spirits of Native American warriors. And with its strange little trails leading off through the dense fragrant woods, medieval tower and ruined walls, and concealed history, Comanche Lookout Park certainly does have an otherworldly feel to it and like the kind of place where something like this could happen. 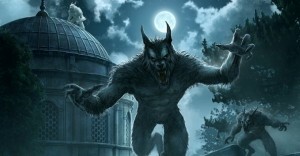 If there is anywhere one might expect an investigation to reveal evidence of paranormal activity it is certainly here. Author Michael Varhola at Comanche Lookout. MICHAEL VARHOLA is the author of Ghosthunting Virginia and Ghosthunting Maryland (with his father, Michael H. Varhola). 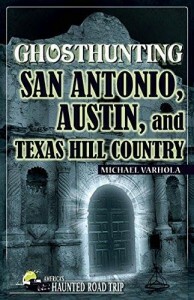 His new book is Ghosthunting San Antonio, Austin, and Texas Hill Country.